Just how does a home equity loan work? Once you understand the basics behind the concept of home equity, loans involving home equity become very simple. Your home has a market value, which is an approximate figure of how much the home is worth. It is the amount that your home would probably sell for right now if you were to put it on the market and find a willing buyer. In other words, any time you bring your balance down or bring the value of your home up, there is a potential for more equity. Interest rates for home equity loans are usually lower than for personal loans through a lender. Home equity loans have potential tax deductions for the interest paid. Equity loans sometimes have long amortizations, allowing borrowers to enjoy relatively small monthly payments for substantial amounts. With low interest rates, a potential tax deduction, and a small monthly payment, why wouldn't a home equity loan make sense for everyone? The answer is this: A home equity loan uses your home as collateral, and therefore you can lose your home if you don't make your payments on time. The low interest rate is a direct result of your home being offered as collateral for the loan. By obtaining a home equity loan, you are putting your home on the line. If you fall behind on home equity loan payments you can lose your home, even if the payments on your primary mortgage are completely current. Applying for a home equity loan online or at a lender's office involves more information and requirements than other types of loans. You may require an inspection and appraisal of your home before the loan funds are distributed because the lender wants to make sure that your home has the equity you claim it has. While some lenders require inspections and appraisals, other lenders simply research the market value of homes. You can find out the approximate market value of your home using websites like Zillow.com or by calling a local real estate agent. It's always a good idea to research the market value on your own before applying for a home equity loan so you aren't surprised by the approximate home market value your lender uses. The equity you have in your home is constantly changing. Real estate markets fluctuate up and down depending on several factors, and this means that the value of your home can increase or decrease often. For this reason, you should avoid maxing out your home's equity when obtaining a home equity loan. The reasoning behind this is simple; if you max out your equity with a home equity loan and then your home depreciates in value, you can wind up with negative equity. This means that your home isn't worth the amount of money you owe. You can have more than one equity loan, although some lenders limit the amount of home equity loans they will allow on one home. 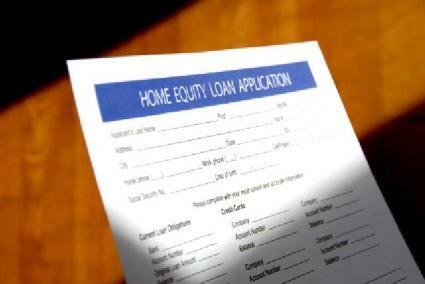 Obtaining a home equity loan can be a sound financial decision as long as it is tempered with caution.